This simple tutorial will walk you through how to start a lifestyle blog from scratch. I’ll cover how to start your blog, lifestyle blog ideas, how to make money and what mistakes to avoid. Starting a blog is fantastic. You can start a lifestyle blog and build it to a full time income! But I totally get how easy it can be to feel overwhelmed. Been there, done that. And guess what happened because of it? Nothing good. Do you want to know what I do now to overcome my “brain obstacles” when they occur? 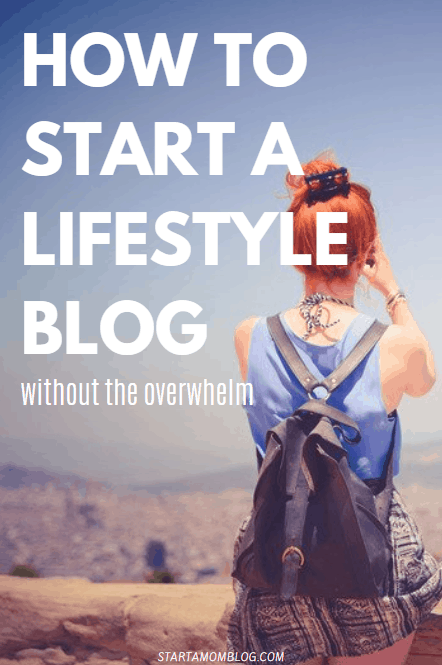 I’ll spill all the beans later on in the post, but first – let’s understand how to start a lifestyle blog so you don’t get stuck or overwhelmed. So, what exactly is a lifestyle blog? It’s not possible to put in into one nice, neat little package, but I will say that it encompasses a large niche with a wide variety of topics. The main word to focus on from the word lifestyle is “life” and as we know, life offers up plenty of great content to discuss. 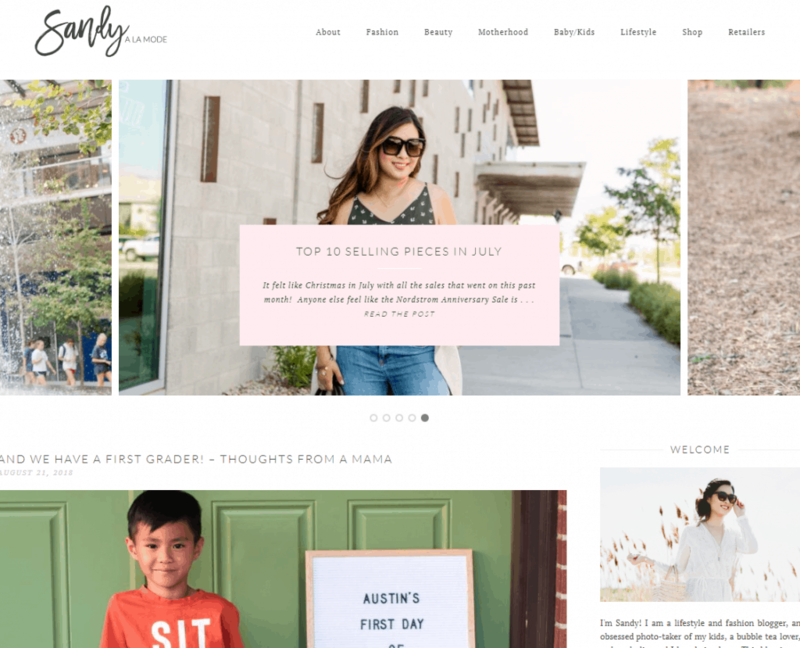 All lifestyle blogs are formatted and run differently, but you can be sure that there will be stories, pictures, sad and happy posts, family posts…and a little bit of everything else sprinkled throughout. One critical and essential piece of information that I think is 100% relevant is to understand that lifestyle blogs focus a lot on the current and now and not so much on the feelings and emotions of the past. This is probably my favorite question that I will never get tired of hearing. “Suzi, how do I start a blog?” You won’t believe how effortless it is. I’m talking “quicker than taking a shower” simple. 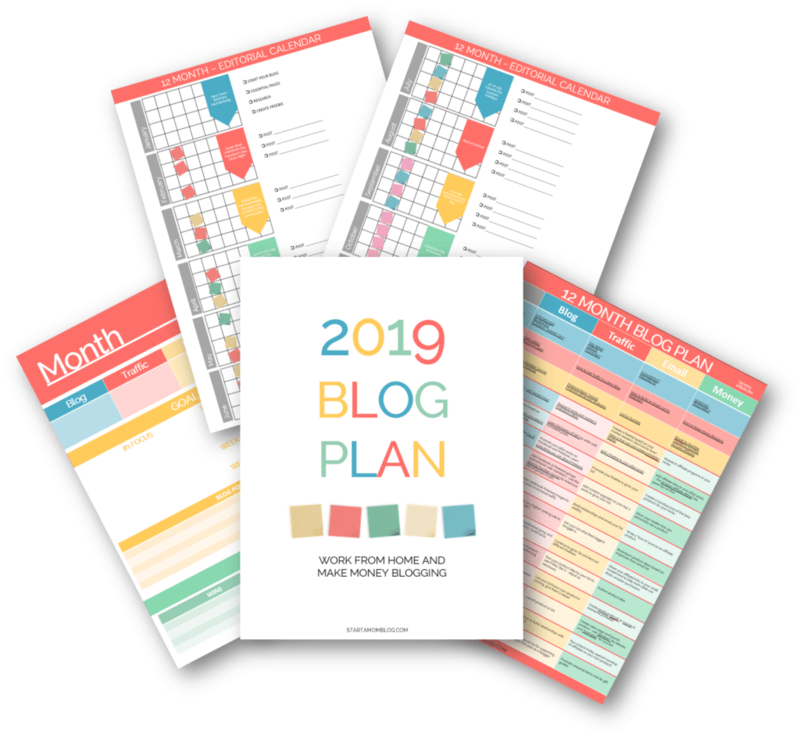 It’s honestly not hard, and if you plan and choose options accordingly, the basics of your blog can be set up and running in literally no time at all. Many people never even get their blogging dreams off the ground because they feel overwhelmed before they even start. Just go ahead and throw those negative vibes out the window right now. They are beyond not true. Starting a blog is simple. Fun fact? I’ve helped thousands of people of all ages start their own blogs. From grandmas who want to blog to stay at home moms, we’re all in this together. What is the cost to start a lifestyle blog? Here’s the deal. As far as side hustles and potentially full-time jobs to being, blogging is crazy inexpensive. Even after all my years of blogging, I’m still amazed at how low my monthly costs truly are. Now, don’t get me wrong…You can make it as expensive as you want to start a lifestyle blog. But, if you’re willing to learn a few new tricks of the trade and have a bit of trial and error, I can assure you that you can start a blog for hardly any money at all. My biggest piece of advice when it comes to starting a lifestyle blog? Find and pay for a good host. And if you don’t know what a “host” means, that’s okay! (Remember, I’m here to help you!) In a nutshell, a hosting company is one that basically holds the key to keeping the backend up your blog running smoothly. Your host securely stores your files and pictures and is also there to help should something go wrong. There are free blog sites too which are great for hobby blogs, but if you want to turn your blog into a business, you’ll need to own the content. Hosting companies aren’t expensive at all (some are just $3/month!). The thought of losing all my written content, posts and images because I didn’t want to pay for a host truly makes me feel ill…just don’t take the chance. So far – you’re cost for starting a lifestyle blog? $3/month. Amazing, right?! Are you ready to join me in the blogging world? I sure hope so! I can’t say enough good things about being a blogger and interacting and communicating with everyone. I sincerely want you to be successful. Plus, if you’re starting your blog with the hopes to make money, just know that it is 100% possible. And the best part? You can steer your own ship and make it happen. I’m here to help you learn how to start a blog from start to finish. That’s what I do! To find out all the details that it takes to get started, I’ve created this free tutorial that will walk you through the beginning process. My advice to you? Have a “brain dump” and just write down whatever’s in your mind. I have a lot of think-tank sessions where I literally grab a pad of paper and pencil and let the thoughts flow. Once I get them written down on paper, I feel better, and I like to think that it clears up more room in my mind to let other ideas start as well. Knowing that you’re wanting to start a lifestyle blog is huge, because that means that you’ve chosen your niche. Some bloggers struggle on what niche they want to be in (fashion, mom blog, travel) and they can’t really narrow down their audience or content because of that. Simply by having a niche, you’re already on the right path! Even if it’s a broad niche like lifestyle. But, just in case you’re looking for a “jolt” to get you started with some ideas, here are a few lifestyle blogging ideas that you can branch off of and make your own. Again, these are just a few category ideas that you may find helpful, but if they don’t work for you and your audience, make changes as needed. With these simple lifestyle blog categories, you can literally come up with hundreds of blog post ideas! 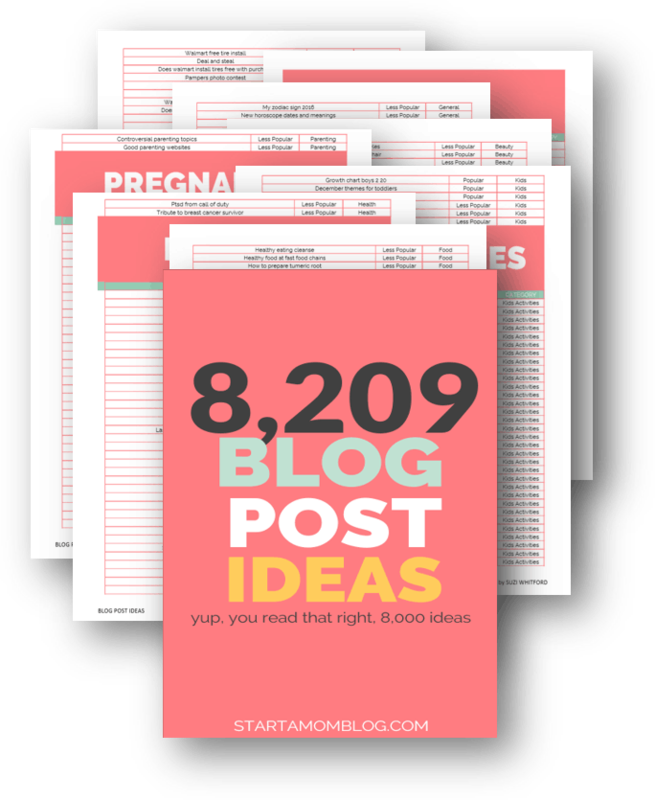 And if you need more, check out these other 8, 209 blog post topic ideas as well. Starting a blog and learning how to make money is probably the number one thought on the brains of 95% of new bloggers. My answer? It’s 100% possible to do. And truth be told, being a blogger and running your own blog can be one of the most straightforward ways to make money from home. But please…don’t expect this to happen overnight. This is why so many bloggers fail in the early months and years…because they expect the money to start rolling in immediately. Blogging takes work. It takes time to build an audience that trusts you and follows you. But when you finally do, you will be able to start (and keep!) making money with ease. Before you focus on making money with your blog, understand what you want the true purpose of your blog to be. If you’re wanting to genuinely offer advice and help others, that needs to be your starting point. Your readers will pick up on that, and they will reward you later down the road. While making money can be a focus, it doesn’t need to consume you entirely in the beginning stages. However, in saying that, I am here to provide you with helpful information, I want you to be educated on the top ways to monetize your blog. While these aren’t the only methods, these tend to be the most common ways that bloggers earn money. By merely offering great content and advice, and building my email list, I’ve been able to make over $30,000 per month consistently, and I am more than happy to share all of my thoughts and advice in my Income Journey ebook! Please know that this is a quick overview of ways to make money with your blog. For a more detailed post, check out how to make money blogging here! Are lifestyle blogs and hobby blogs the same? In my mind, anytime I hear the term “hobby blogs,” I immediately associate it with someone who is blogging for fun and has no intention of taking it to a full-time income. Again, this is my thought process and may differ from others so please feel free to make your own judgment call. And if you want to categorize yourself as a hobby blog, please do so! Remember, my tip to you is that you need to do what is going to make you happy. Since you’ll be spending so much time writing, creating and promoting your blog, it should be about something that you find passion in. These are just a few examples of lifestyle blogs to follow but know that there are thousands more to see and explore. What the Chung is a breath of fresh air. She talks about karma, travel and beauty tips and has some great images and photos to go along with her posts. Calling all foodies! 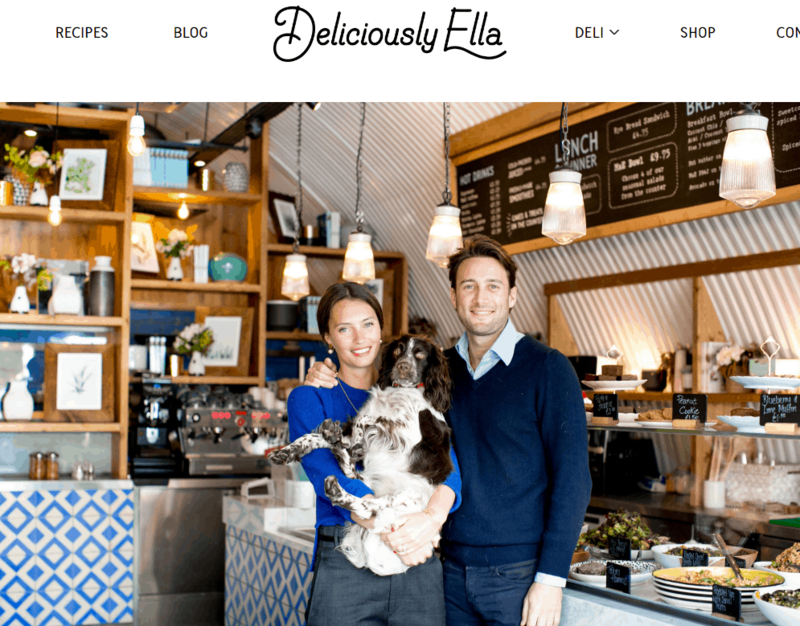 If you love to eat, Deliciously Ella is sure to make your mouth water and give your taste buds a real treat. The Skinny Confidential is excellent. She’s real, and she puts it all out there, making you like her and her style immediately. Her content of beauty and body focused and will grab your attention once you pull up her homepage. Sandy A La Mode is so much fun. It combines motherhood and fashion and proves that it’s possible to do both well. I am a firm believer that every person has what it takes to be a blogger. My reasoning? Bloggers simply can’t be put into one category which means that the blogging world is made up of millions of different and amazing people. I also believe that to be a successful blogger, you need to be able to be persistent and patient. Your content doesn’t have to be “beyond amazing” every single time, but it does need to help SOMEONE with a question or a need. You will create a loyal audience and following with the content that you create. Plain and simple. And please, please, please…Don’t try to fake it til you make it. Write about what you know, what makes your heart happy and what you want to share with others. Your expertise and knowledge will build in time and you’ll be able to help more and more people! Remember earlier when I stated that I would share with you what I do when I’m feeling less than motivated to blog? When I’m lacking the motivation to write, I read the comments on my posts from my readers and followers. Without fail, my readers actually motivate me each and every day. Without them, I wouldn’t have found the success that I have so it just makes sense to seek out their words and advice when I’m needing that pick me up. If you’re ready to rock the year by starting a lifestyle blog, let’s make it happen. There is never a better time than now to make it happen, and I can’t wait to help you get started! Why do you want to start a lifestyle blog? I’d love to hear from you in the comments!